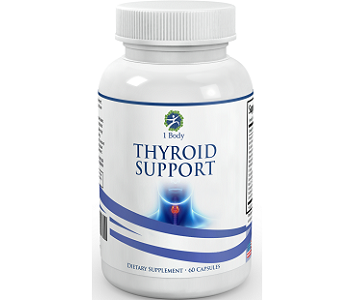 In this review, we will share all the facts about a product called Thyroid Support. Consumers need to know the details of the product to ensure it can give them results, which is the reason for our review. A company called 1 Body made the product to boost your metabolism, improve your immune system and to help you lose weight. The main ingredients in the product are Vitamin B-12, Iodine, Zinc, Selenium, Copper and Manganese. These ingredients are known for boosting metabolism and helping you to lose weight. The inactive ingredients in the product are Vegetable Cellulose, Hypromellose and Purified Water. The doctor needs to advise you if your condition is suitable for the product before you consume it. The manufacturer recommended that you consume 1 capsule in the morning and 1 capsule in the evening. You should not exceed the recommended dosage. The consumer feedback revealed that some consumers experienced side effects such as depression and mood swings. Consumers also reported experiencing fatigue and feeling lethargic. The product consists of 60 capsules that you can buy from the official website for $24.97. The manufacturer had reduced the price of the product. Consumers in the U.S. will receive free shipping. The product comes with a money-back guarantee. Consumers can return it if they feel they did not get the results of the product they expected. Consumers who claim a refund have to pay the courier fare of the product to claim a refund. Some of the customer feedback we received about the product was negative. 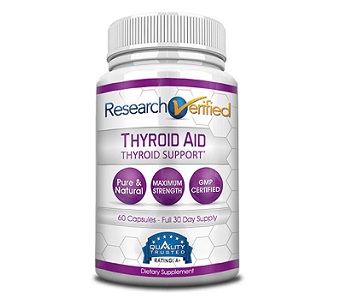 Consumers stated that the product did not help to boost their metabolism or improve their focus. Some consumers mentioned experiencing side effects such as fatigue and mood swings. Since we gathered all the product’s facts, we are in a position to conclude on the matter. We saw that the manufacturer made the product to boost your metabolism, improve your immune system and to help you lose weight. The facts of the product showed us it has several drawbacks that consumers need to consider. The manufacturer did not mention if the product should be consumed with food to get the best results. The manufacturer offered a money-back guarantee, but consumers who wish to claim a refund have to pay for the shipping of the product to return it to the manufacturer. It looks as if consumers will make use of the guarantee since we found numerous consumers who complained about the product. The consumers mentioned that they did not see any results from the product and were upset that they did not experience any weight loss. Besides not getting results, consumers mentioned experiencing side effects such as fatigue, mood swing, depression, as well as feeling lethargic. We think that consumers will be taking a risk with their money, even though a guarantee is offered if they purchase the product since consumers stated that the product did not produce results.